So, I’m taking some vacation time til after the first. Efren, aka “mi Papi”😊, is also taking a few days off , and we are enjoying a week long visit with his 15 yr old son, Christian. He lives roughly ten hours away with his mom, so visits are precious time. I caught an upper respiratory thing from Efren had last week and have felt pretty blah the last two days. I played it up for all it was worth, though (JK😂) and let this crew do all the cooking last night. My son Derek, Efren and Christian. 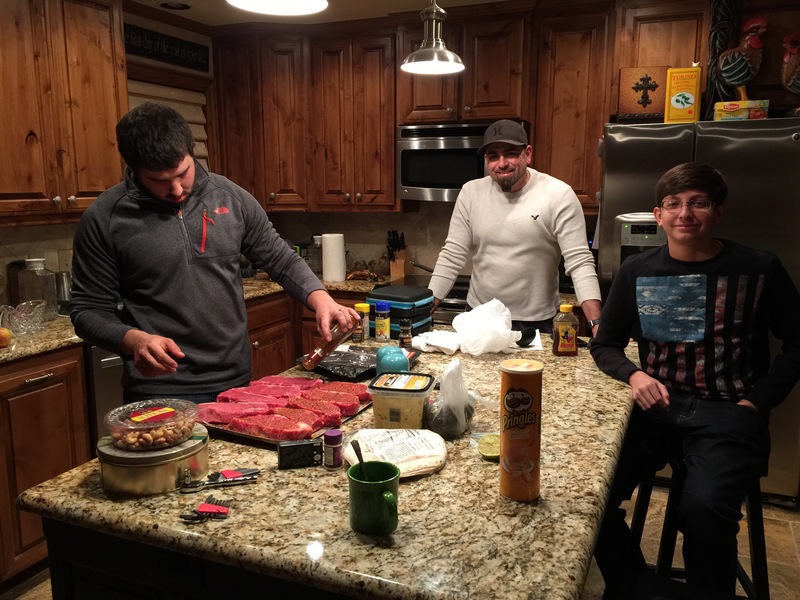 Derek’s family was still at his inlaws, so it was just me and the boys. 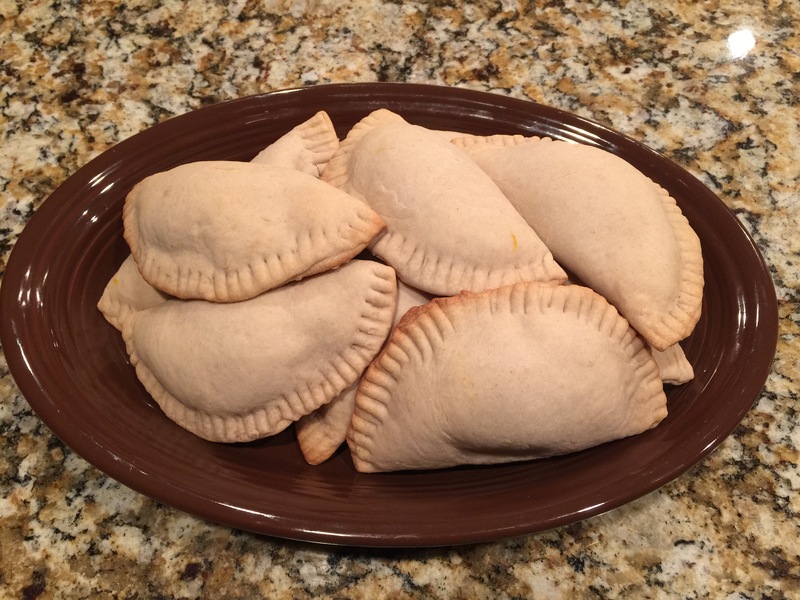 Once I started feeling better this afternoon, I decided to try out a pumpkin empanada recipe I found on the web. 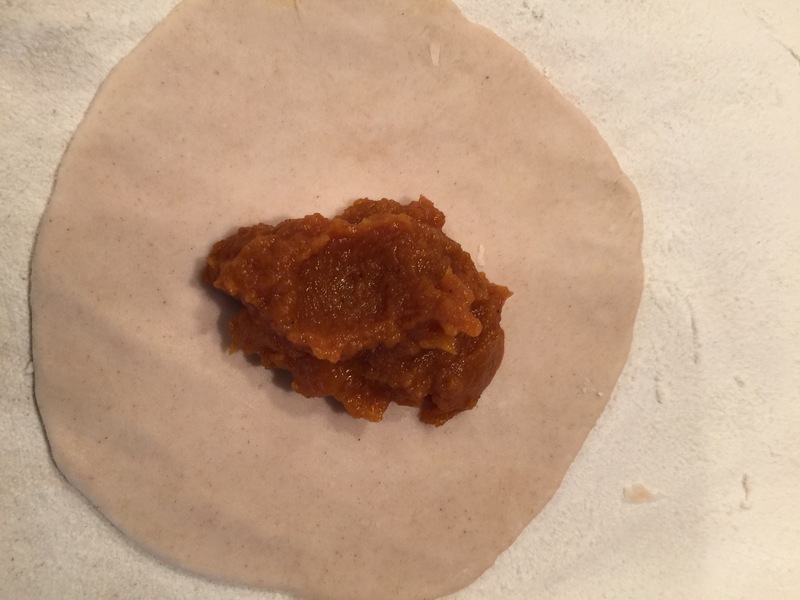 I love a good pumpkin empanada. I love pumpkins, in general. One of my favorite things for some reason. They are just so darn cute. 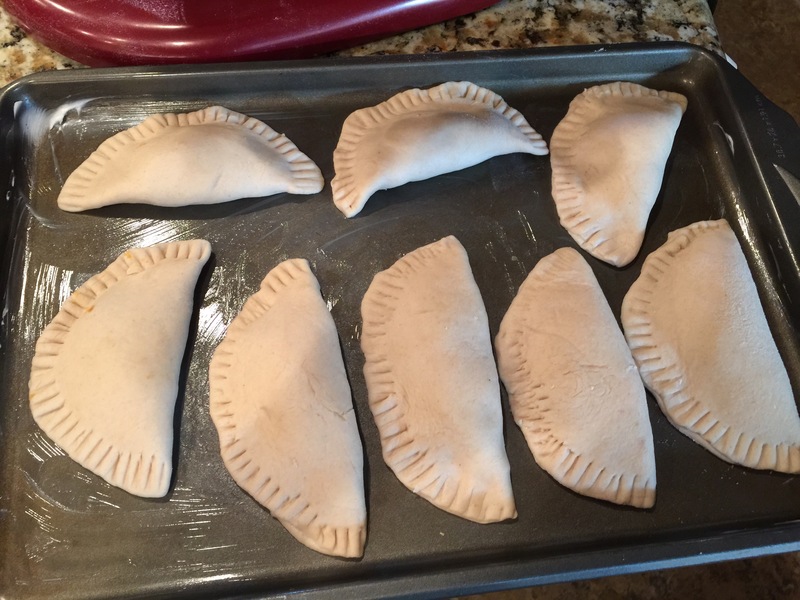 Anyway, this recipe was easy and I’m quite pleased with how they turned out. 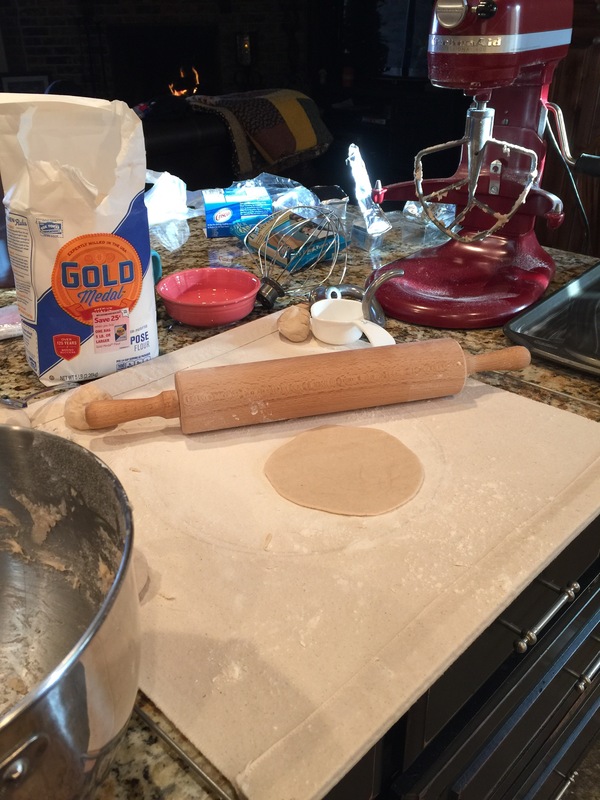 I expected more difficulty, because ya know….that whole dough making part. These were truly a piece of cake to put together. I can’t make a thing without making a huge mess along with, it seems. 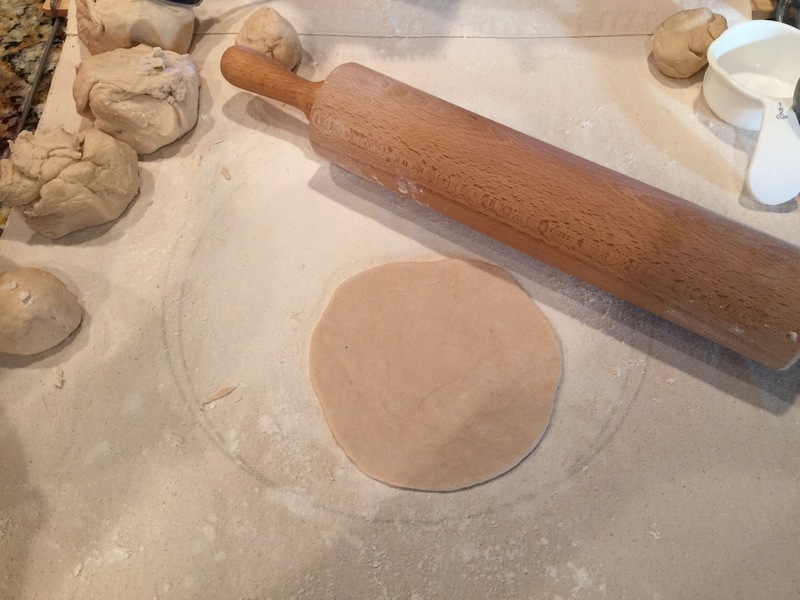 You make these cute little dough balls and roll them out. 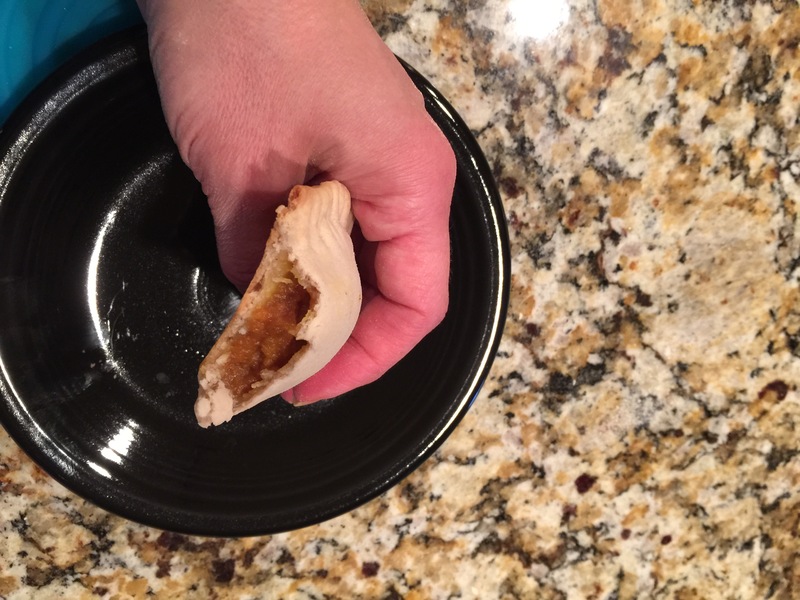 Then you put this yummy, as in so good I wanted to get a big spoon and sit down and eat it right out of the bowl just like it was kind of yummy, filling in the center of your flattened dough ball. Then moisten the edge, seal them up, and bake! 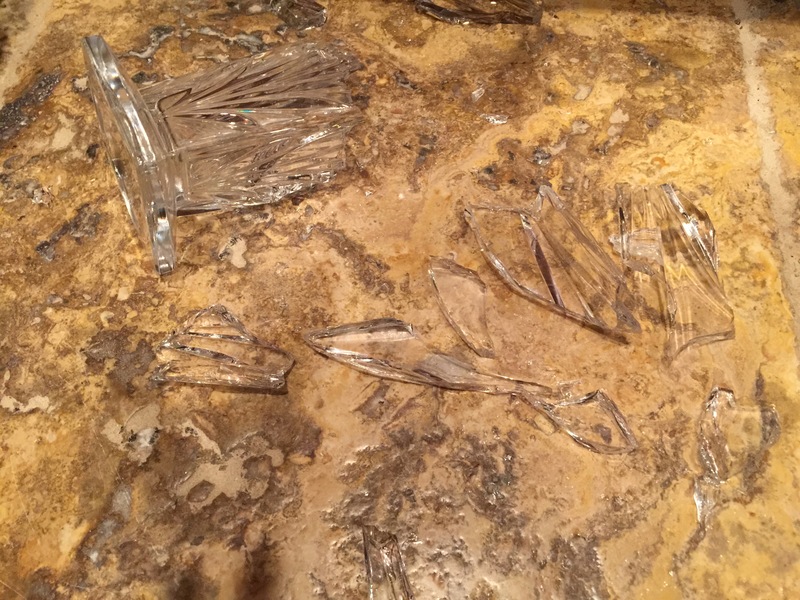 I guess that was just too much success for one day, because immediately after that I broke the only really nice crystal vase I owned. Oopsie. But, that’s a small loss in the grand scheme. Totally inconsequential, actually. Replaceable. My biggest concern was keeping Miss Bella out of it with her big paws and nosy nose while I was cleaning it up. Happy to hear you are feeling better! The pumpkin desserts look very yummy and I LOVE Miss Bella. She looks as though she has no idea how that skirt got messed up. hahaha. May 2015 bring you nothing but happiness, good health, laughter and most of all, love!